This book started a little slow for me, but really picked up speed and galloped into a "can't put it down" ending. If you're tempted to put it down - don't - trust me. Barbara Richardson met Jackson Judge under distressing circumstances that didn't include her upcoming engagement. A year and a half later, she's back to stand up for his sister's wedding. Unmarried because her own engagement fizzled, Barbara secretly hopes to reconnect with Jackson. Home from Pearl Harbor and bearing scars both inside and out, Jackson has resigned himself to a life of solitude. The young lady who captured his heart before the war now threatens his new life.The twist toward the end - no spoiler here - caught me totally off guard. I love that! It's a romance so of course you know the ending is coming, but it's always delightful when it delivers that extra "ahhh" of a well wrapped up story. I highly recommend this one and it's suitable for any age. Intense, humorous and loveable characters...this is a romance you won't want to miss! When Barbara (Bunny) Richardson first meets Jackson, he's charming and mischievous. Even though she's engaged, she's drawn to his sweet personality. But then war happens. When Bunny realizes her fiancé is more concerned with how she looks than who she is, the engagement ends. She tries to help with the war effort but when Jackson's sister, Bunny's best friend, is planning her wedding, Bunny takes a trip to see her. She arrives and discovers a different Jackson, a man wounded at Pearl Harbor, who carries scars both inside and out...and yet she is still drawn to him.I love this story! Beautiful and hopeful. I can't wait to read more of Linda's books! Barbara Richardson and Jackson Judge met during a flood. Jackson rescues her family on Christmas Eve and the two families become fast friends. Then Pearl Harbor happens and the Jackson of old is no more. He's injured, scarred and has no reason to live. Until Barbara comes for his sisters wedding and pushes her way into his life once again. He was a terrible flirt when they first met, and now he wants to avoid her. She won't have it though. I enjoyed this book. The author wrote a very interesting story that held my attention and kept me cheering the characters on. Excellent story! Characters are well-developed and relatable, facing real-life issues and overcoming some very heart-tugging sorrows. Very well done. 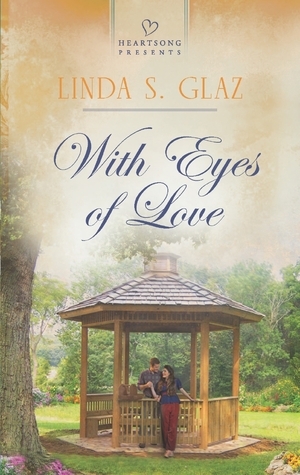 Linda S. Glaz - Linda, married with three grown children and three grandchildren, is a complete triple-A personality. How else would she find time to write as well as be an agent for Hartline Literary Agency? She loves any and every thing about the written word and loves when families pass stories along through the generations as her mother did with her. She was blessed to have served in the Air Force at a time when it wasn’t the politically correct thing for a woman to do. After teaching soccer nationally and women’s self-defense wherever the need arose, now, her greatest thrill is matching clients with publishing houses and hearing their voices when they get “THE CALL”. She’s an AWSA speaker and presents classes nationwide. She connects with authors through seminars, blogs, and anywhere a group congregates and talks books. She’s always looking for fresh voices in fiction, especially in historic romance and suspense.